A delay in diagnosis or a misdiagnosis may occur in patients with spinal cord injury (SCI) or spinal bifida as typical symptoms of a clinical condition may be absent because of their neurological impairment. 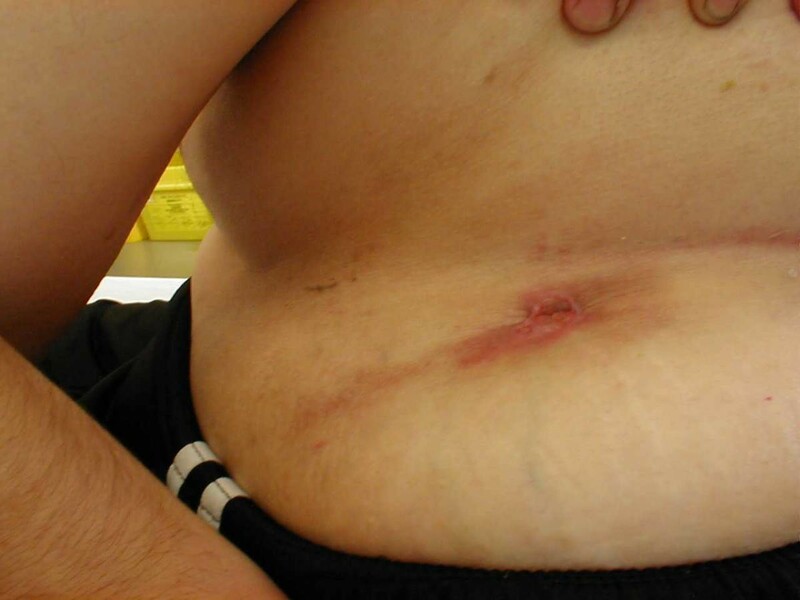 A 29-year old male, who was born with spina bifida and hydrocephalus, became unwell and developed a swelling and large red mark in his left loin eighteen months ago. Pyonephrosis or perinephric abscess was suspected. X-ray of the abdomen showed left-sided staghorn calculus. 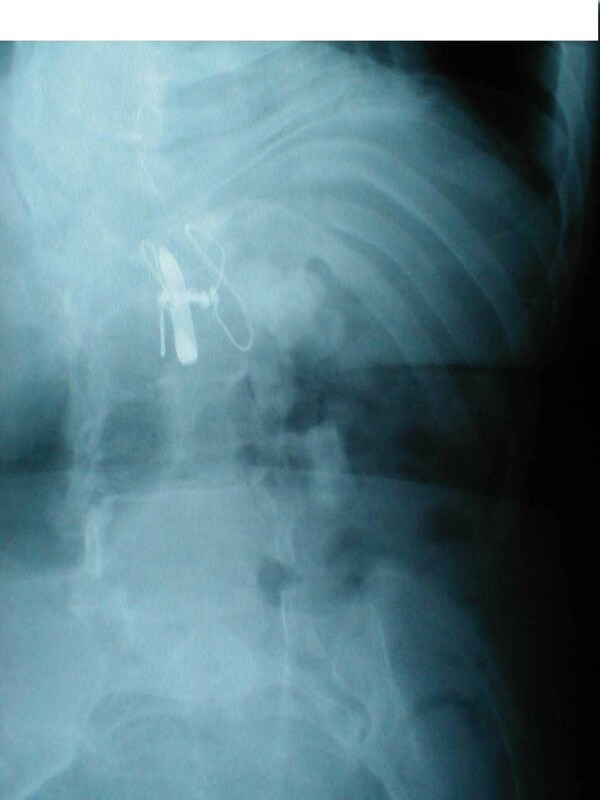 Since ultrasound scan showed no features of pyonephrosis or perinephric abscess, he was prescribed a prolonged course of antibiotics for infection presumed to arise from the site of metal implant in spine. He developed a discharging sinus, following which the loin swelling and red mark subsided. About three months ago, he again developed a red mark and minimal swelling in the left loin. Ultrasound scan detected no abnormality in the renal or perinephric region. Therefore, the red mark and swelling were attributed to pressure from the backrest of his chair. 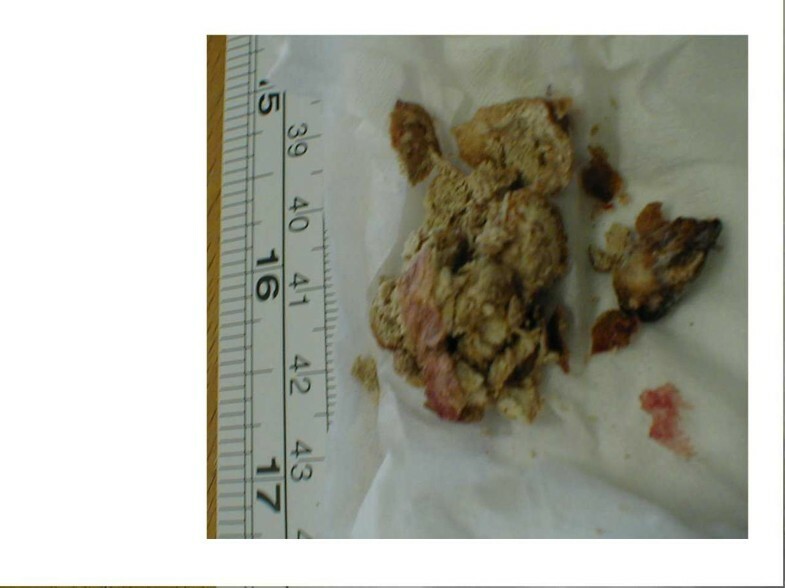 Five weeks later, the swelling in the left loin burst open and a large stone was extruded spontaneously. An X-ray of the abdomen showed that he had extruded the central portion of the staghorn calculus from left kidney. With hindsight, the extruded renal calculus could be seen lying in the subcutaneous tissue of left loin lateral to the 10th rib in the X-ray of abdomen, which was taken when he presented with red mark and minimal swelling. 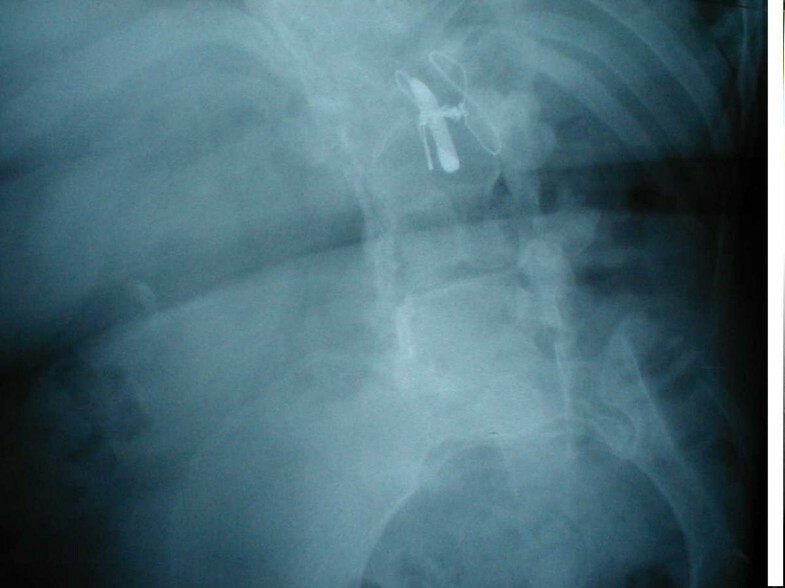 This case illustrates how mistakes in diagnosis could occur in spinal cord injury patients, and highlights the need for corrective measures to reduce urological errors in these patients. Voluntary reporting of urological errors is recommended to facilitate learning from our mistakes. In the patients who have marked spinal curvature, ultrasonography of kidneys and perinephric region may not be entirely reliable. As clinical symptoms and signs may be non-specific in SCI patients, they require prompt, detailed and occasionally, repeated investigations. A joint team approach by health professionals belonging to various medical disciplines, which is strengthened by frequent, informal and honest discussions of a patient's clinical condition, is likely to reduce urological errors in SCI patients. A delay in diagnosis or a misdiagnosis may occur in the patients with spinal cord injury (SCI) or spinal bifida as typical symptoms of a clinical condition may be absent in these patients because of their neurological impairment. . Physicians may commit an error in diagnosis of a clinical condition as the symptoms and signs may be non-specific , or mistakes could occur during interpretation of medical images or histological appearances. 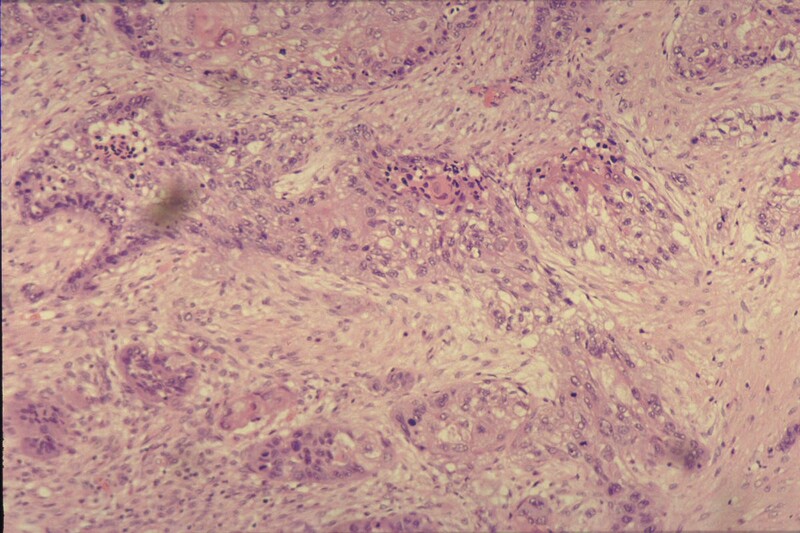 Atypical decubital fibroplasia , which is a unique type of pressure sore displaying degenerative and regenerative features distinct from decubitus ulcer, may be misdiagnosed by pathologists and clinicians as a sarcoma. Epidemiology of medical errors showed that patients aged over 64 years have a greater risk of serious injury from adverse events than younger patients. . We believe that patients with spinal cord injury and spina bifida should be included in the high-risk group for possible occurrence of medical errors. We report an adult with spinal bifida and paraplegia, who presented with redness and minimal swelling in the loin. This was diagnosed initially as a pressure mark. Subsequently, a large renal calculus was extruded out of the loin swelling spontaneously. A 29-year old male, who was born with spina bifida and hydrocephalus, presented recently with recurrent episodes of redness and minimal swelling in the left loin. At the age of eight years, he had an ileal conduit urinary diversion and surgery for kyphoscoliosis. An intravenous pyelography performed five years ago showed bilateral renal calculi (left greater than right). Right kidney was functioning, but no contrast was seen in the left pelvicalyceal system or ureter. Eighteen months ago, he became unwell and developed a swelling and large red mark in left loin. Pyonephrosis or perinephric abscess was suspected. X-ray of abdomen showed left-sided staghorn calculus. There was a small stone in the right kidney. (Figure 1). Ultrasonography revealed no evidence of hydronephrosis. Since ultrasound scan showed no features of pyonephrosis or perinephric abscess, he was prescribed prolonged course of antibiotics for infection presumed to arise from the site of metal implant in spine. He developed a discharging sinus following which, the loin swelling and red mark subsided. X-ray of abdomen (05052000): This X-ray of abdomen shows large staghorn calculus in the left kidney and a small stone in right kidney. About three months ago, he again developed a red mark and minimal swelling in the left loin. He did not have fever. Blood tests were not done during this visit. However, blood tests were performed five days later. The results were as follow: Haemoglobin: 7.0 g/dL; White cell count: 12.6 x 109/L; Neutrophils: 10.37 x 109/L. Urea: 14.2 mmol/L; Creatinine: 199 umol/L; C-reactive protein (CRP): 171.4 mg/l. In view of elevated white cell count and high CRP level, the general practitioner was requested to prescribe antibiotic. Patient received amoxicillin 250 mg every eight hours by mouth. X-ray abdomen showed left-sided staghorn calculus. (Figures 2 and 3). Ultrasonography showed no evidence of hydronephrosis. Since ultrasound scan detected no abnormality in the renal or perinephric region, the red mark and swelling were attributed to pressure from backrest of his chair. About five weeks after the radiological examination, the swelling in left loin burst open and a large stone was extruded spontaneously. (Figure 4). Following spontaneous extrusion of renal calculus, the sinus became smaller. (Figure 5). There was minimal discharge of seropurulent fluid. An X-ray of abdomen showed that he had extruded central portion of the staghorn calculus from left kidney. (Figure 6). With hindsight, the extruded renal calculus could be seen lying in the subcutaneous tissue of left loin lateral to the 10th rib in the X-ray of abdomen, which was taken when he presented with red mark and minimal swelling (Figures 2 and 3). 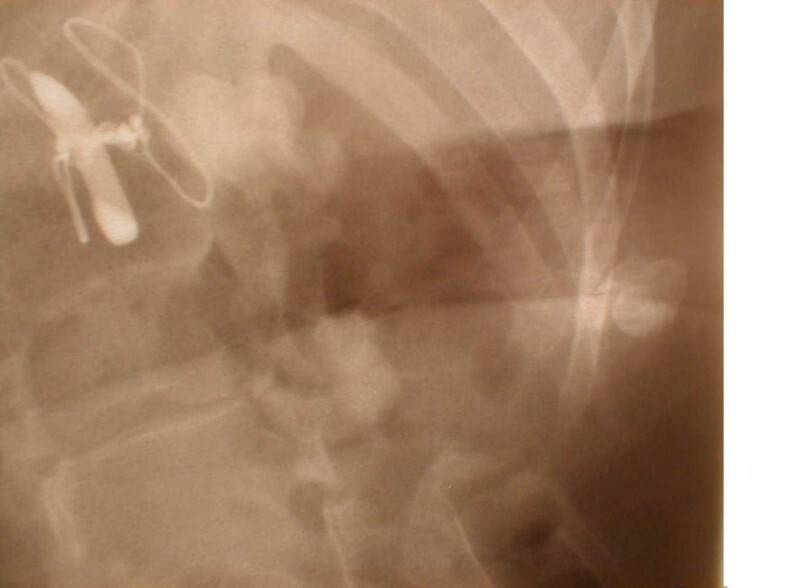 This radio opaque density situated in the soft tissue of left loin was not present in either of the X-ray of abdomen taken earlier (Figure 1) or subsequent to extrusion of the renal calculus. (Figure 6). X-ray of abdomen (10102001) Abdominal X-ray shows left-sided upper and lower pole staghorn calculi with defect in the central portion. A close-up view of left lumbar region in the X-ray of abdomen A large stone is seen lying in the soft tissue of left loin lateral to the 10th rib. Photograph of the stone Renal calculus, which was extruded spontaneously through the loin, is shown. Clinical photograph of left loin This photograph shows a sinus in left loin through which the central portion of a staghorn calculus was extruded spontaneously. X-ray of abdomen (13112001) This abdominal X-ray shows the radio opaque shadow previously located in left loin is no longer present. Breatnach and associates  reported spontaneous extrusion of a staghorn calculus into the flank soft tissues, which was diagnosed by CT. The stone was demonstrable on CT as fragments of calciflc density appearing in the subcutaneous area. Breatnach and associates  stated that such a complication of renal calculus disease has not been reported previously. 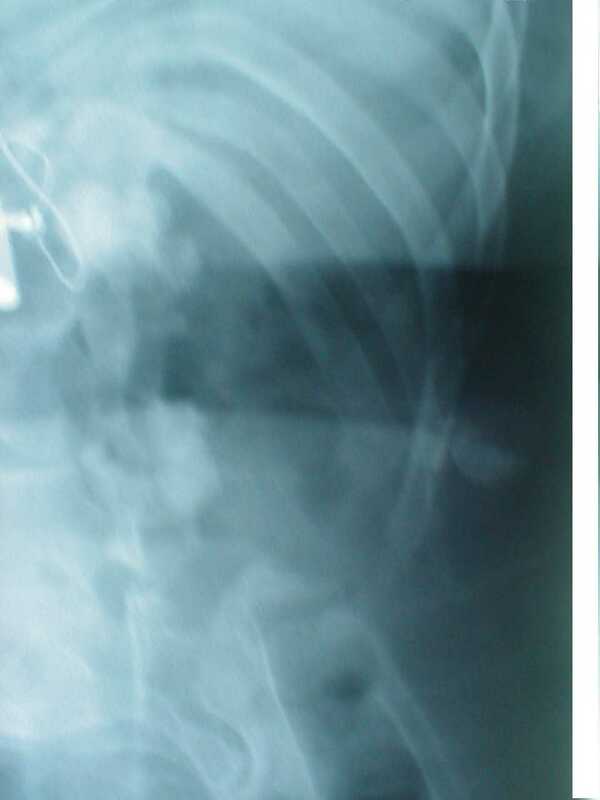 We failed to detect the calculus lying in the soft tissue of left loin in an abdominal X-ray (Figure 3), when this patient presented with redness and swelling in left loin. The ultrasound scan showed no abnormality in the kidney or perinephric region. Unfortunately, we did not evaluate the loin wall during this ultrasound examination. We attributed the swelling and redness to pressure caused by backrest of his chair, since SCI patients are highly susceptible to develop pressure sores. Instead of making a presumptive diagnosis of pressure mark, we should have persevered in our diagnostic efforts and should have reviewed the X-rays of abdomen, which were taken at different times. Obviously, there was an over reliance on the ultrasound scans. In hindsight, we realise that should have performed a CT of abdomen. Had we carried out a CT of abdomen, we would have detected the extruded stone lying in the subcutaneous tissue, and reached the correct diagnosis of spontaneous extrusion of renal calculus. What should we do to reduce urological errors in the patients with spinal cord injury? Some pertinent issues for minimising errors in spinal cord injury medicine are listed below. SCI patients require prompt, detailed and if necessary, repeated investigations as clinical symptoms and signs may be non-specific in SCI patients. Absence or paucity of typical symptoms and signs in SCI patients is well illustrated by this case. This paraplegic patient, who developed perinephric abscess and extruded central portion of a staghorn calculus, did not develop loin pain at all. ♦ In SCI patients, renal calculi may be obscured by bowel gas shadows or by loaded colon in a plain X-ray of abdomen. Ultrasonography of kidneys and perinephric region may be unreliable in SCI patients who have marked spinal curvature. Even CT may be distorted by the patient's spinal and pelvic deformity and true axial images may not be obtained; this can make definition of soft tissue planes difficult. 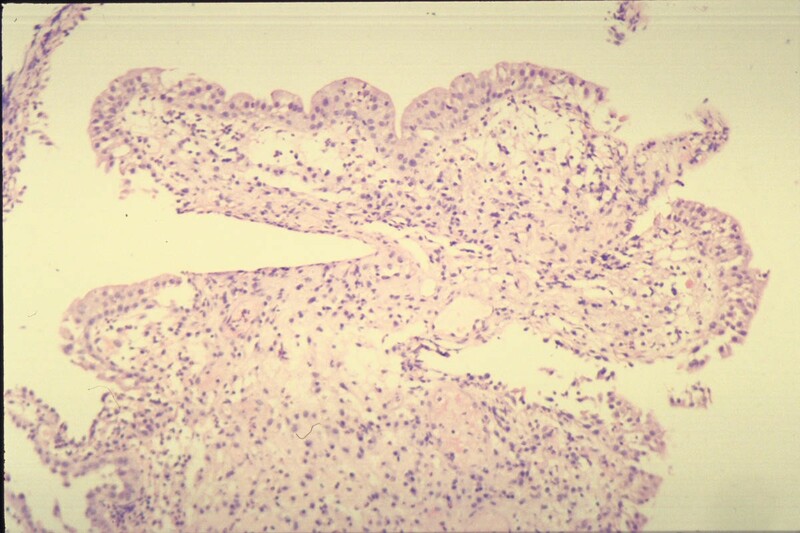 ♦ Histological interpretation of bladder biopsies in SCI patients may be difficult because of associated inflammatory changes. Immunohistochemistry of urinary bladder biopsy, in addition to routine haematoxylin & eosin staining, may be a useful diagnostic aid in selected SCI patients. Immunostaining with cytokeratin 14 may help in early detection of squamous metaplasia. ♦ When the result of a diagnostic procedure is at variance with the overall clinical probability, a repeat investigation might be useful, particularly in SCI patients, as these patients do not manifest typical symptoms and signs. A patient, who had sustained spinal cord injury and paraplegia 36 years ago, presented with recurrent urinary infection. He did not give a history of haematuria. A bladder biopsy showed features of inflammation and papillary cystitis. There was no evidence of dysplasia or neoplasia in this biopsy. (Figure 7). However, a repeat bladder biopsy, which was performed three weeks later, revealed squamous cell carcinoma. (Figure 8). SCI patients may develop clinical problems, which affect different organ systems and require investigations by physicians with expertise in their specialities, e.g. imaging studies by radiologists, histopathological examination of biopsies, gastrointestinal or, urinary tract endoscopy. Therefore, health professionals working in various disciplines should remove artificial barriers and hierarchical settings, which exist to varying degrees in healthcare system, and hold frequent, informal and honest discussions of a SCI patient's clinical condition. Such a joint team approach in reaching a diagnosis, and in implementing a treatment regime, is likely to reduce medical errors in SCI patients. SCI patients require detailed and sometimes, repeated investigations as clinical symptoms may be vague and clinical signs could be completely non-specific. We missed an underlying renal pathology in a paraplegic patient, who presented twice with loin swelling and redness. There was a delay in making a correct diagnosis because of our total reliance on the report of ultrasound scans, which failed to detect the perinephric lesion in this paraplegic patient with spinal curvature. We learn from this case that ultrasonography of kidney and perinephric region may not be completely reliable in SCI patients, who have marked curvature of spine. A joint team approach by health professionals belonging to various medical disciplines, which is strengthened by frequent, informal and honest discussions of a patient's clinical condition, is likely to reduce urological errors in SCI patients and improve the quality of their care. We thank the patient for providing written consent for publication of the clinical photograph. All authors are associated with the provision of medical care to SCI patients. Therefore, the authors sincerely wish to reduce medical errors in spinal cord injury patients.